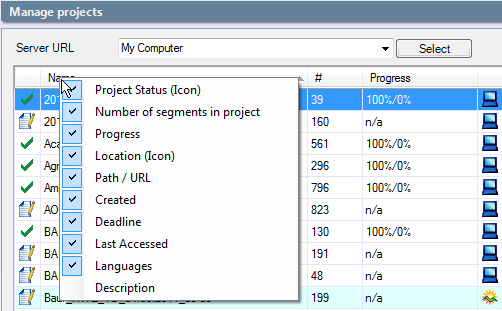 Many are not aware of this, but three of the important working lists in memoQ - the project list on the Dashboard and the Documents and Views lists on a project's Translation page - are customizable. 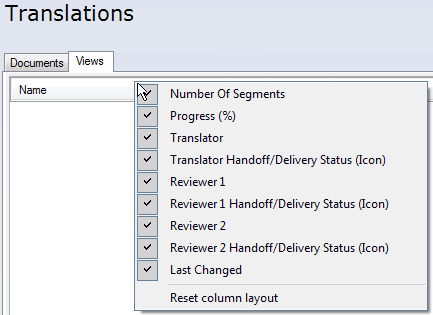 Customizing the column display is particularly helpful in the Documents list when using memoQ versioning. 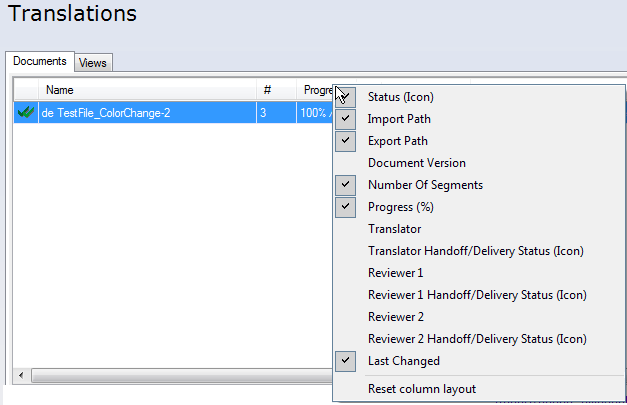 If Document Version is marked in the columns choices, the major and minor version will be shown for each document. (The major or source version is the number before the decimal, the minor version - the target version for that source version - the number after it.) If versioning is not active for a document, the column displays "n/a".